The stores around me have very basic choices in dish detergent. So, the last time that I went to Target, (the closest one to me is over one and a half hours away) I decided I was going to find a different dish soap. So, there I stood in the soap aisle looking at all the choices. It is overwhelming to look at so many different bottles with no guidance about which one you should choose. The one that I was most interested in was from J.R. Watkins . It had a fantastic pomegranate scent. 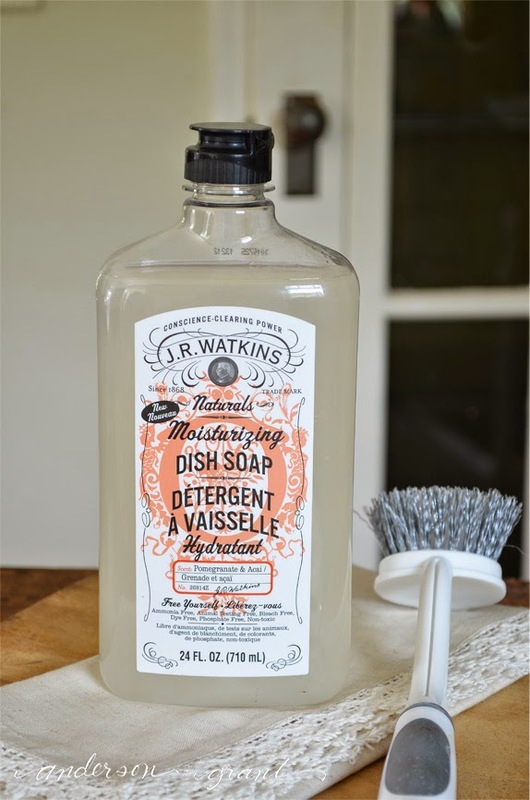 And of all the dish soap out there, you've got to admit that this brand has the best packaging......And I'm a sucker for great packaging. 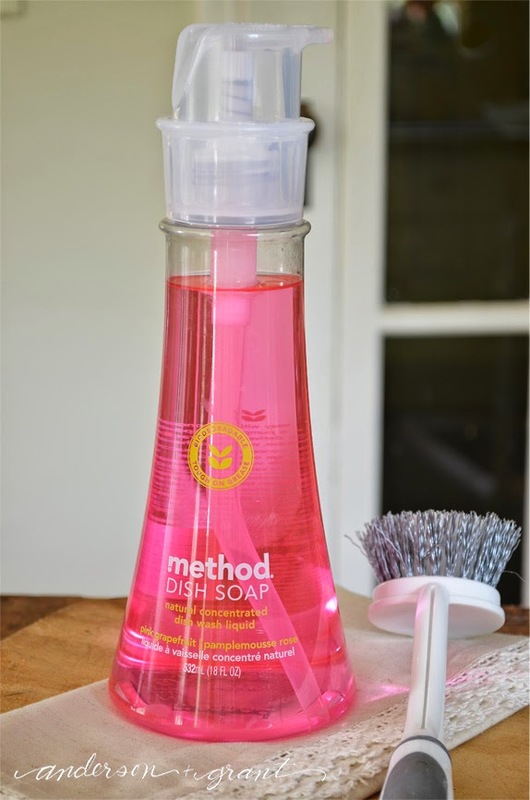 But I didn't know if this soap would be any better than what I was using and then I'd have to wait until I went back to Target to get a different bottle. So, I decided that I would also buy soap from Mrs. Myers . The honeysuckle smelled great and this is a scent I can't get where I live. But then I noticed that both the Method and Seventh Generation soaps were on sale....and I couldn't turn down a sale. So into my cart when four bottle of different dish soap. I'm not sure what the Target clerk probably thought. I tried to mix the soap in with all the other things I was buying so that I didn't seem to strange. I'm learning that as a blogger I am sometimes going to things that others might not understand. I'm now going to test them out to see which one works the best for me. 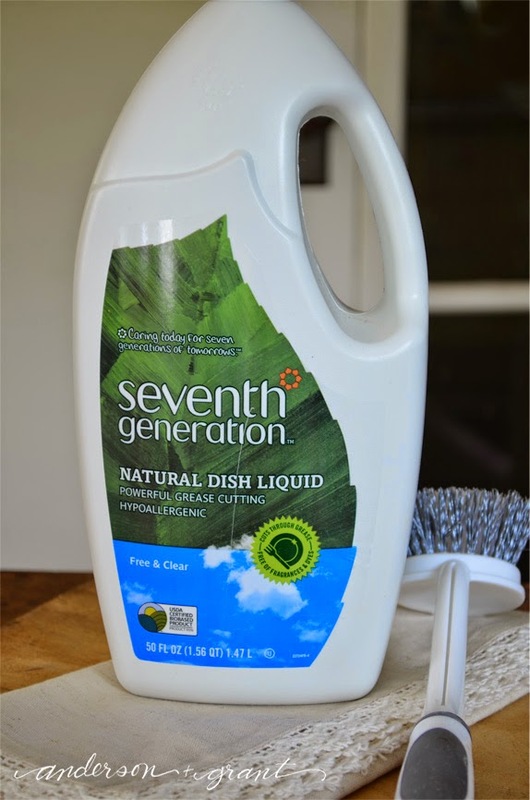 I've started using the Seventh Generation, mainly because it is the largest bottle and least pretty bottle in my "collection." While it cleans well enough, it is unscented so I am a little underwhelmed. Being a good cleaner is important, but I'd also like for it to smell good while it works! 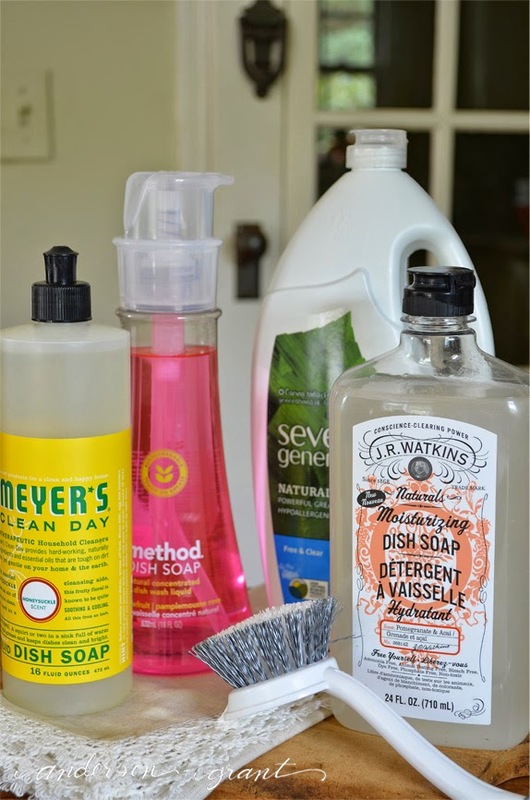 And just so that you are totally immersed in my world of more natural dish soaps, here are some more that look like they'd be good. 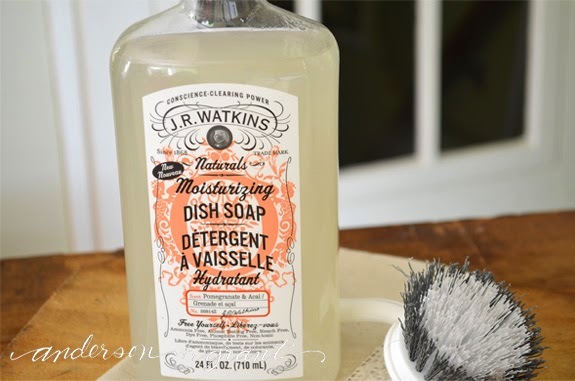 (And yes, I got the inspiration for my lovely dish soap pictures from one of the websites!). 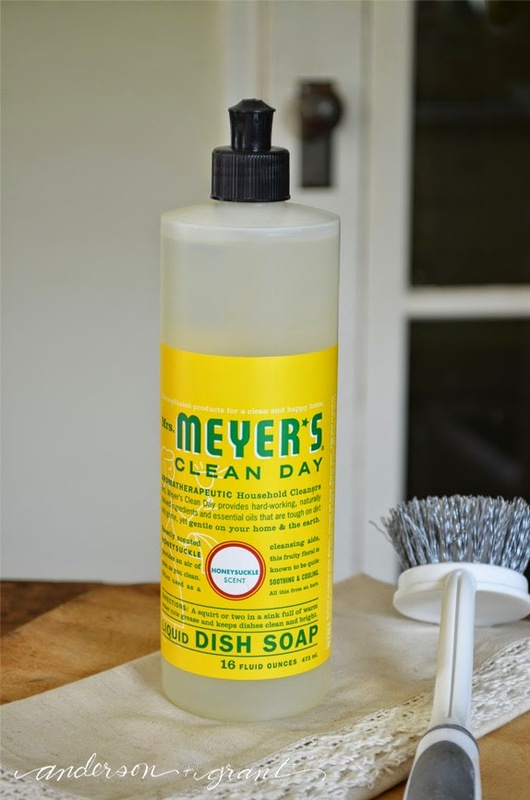 In your opinion, what is the best soap for your dishes? Is natural the way to go?